Oh yes, this one is definitely smiling at you. I hope he doesn't like whatever you're using for bait...it's such a trusting smile. i hate frogs, really, but your photo made me realize they are adorable and cute from a distance hehe! visiting from socc. have a nice day. Love the froggy photos, this one is great. 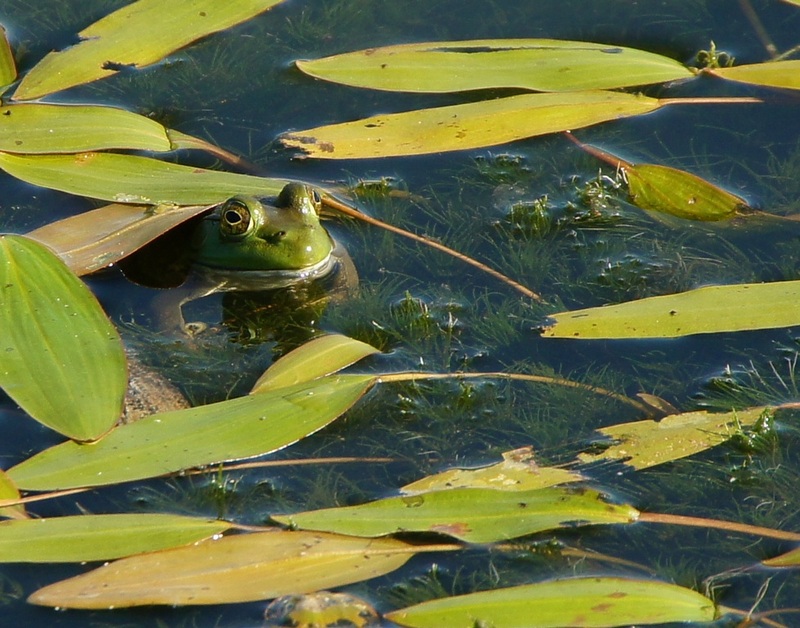 How many frogs are there in the pond? I like how this one has his leg on the weed...seems to be holding him up. This reminds me of when I was little, we had a frog pond down the street where we would catch tadpoles and frogs. I always loved going home and showing my mom what we caught.